Welcome to the Kombucha Kamp Store! 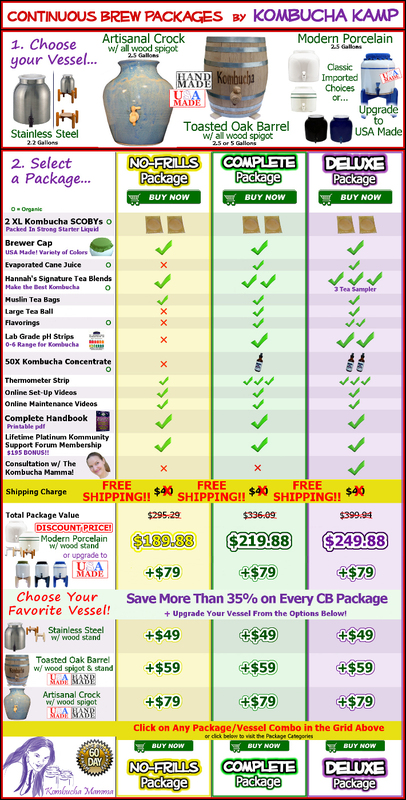 Buy organic Kombucha tea making supplies from the expert's Kombucha store, Kombucha Kamp! Hi, I'm Hannah Crum the Kombucha Mamma and this is our small family business, the #1 Kombucha shop in the world. 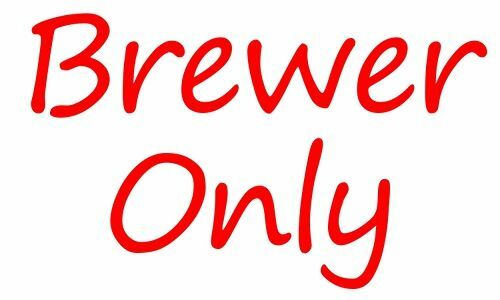 We're family owned and operated, with more than 100,000 HAPPY HOMEBREW CLIENTS in 75+ countries since 2004. 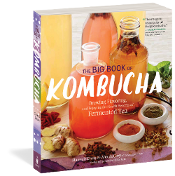 Plus we literally wrote THE (BIG) BOOK on Kombucha! Click any vessel to learn more! 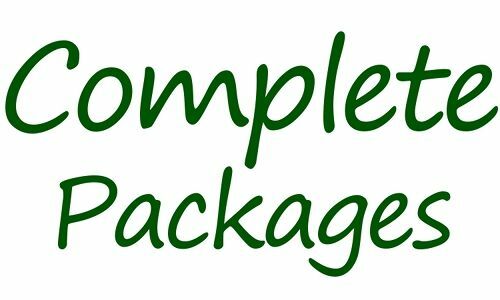 The beauty of Kombucha Kamp Continuous Brew Packages is we’ve taken the guesswork, research, and (most importantly) confusion out of the process with every item in the kit. But it’s the extra little touches like our custom Brewer Cap, the family of heating solutions invented to fit any brewing need, pH strips for troubleshooting, and of course the support materials and famous customer service, that make KKamp Continuous Brew so easy and fun! 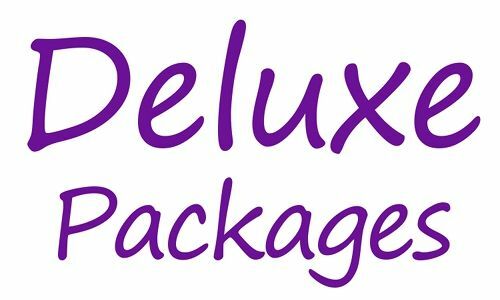 Click any package to find out what's inside! Ready to order but need help deciding? We’re not just the #1 Kombucha shop, we’ve got other great live cultures to try, always 100% organic, fresh and never dehydrated. Plus we have an extensive offering of great Kombucha brewing supplies and even gifts like homemade kombucha soap, t-shirts, stickers and more! 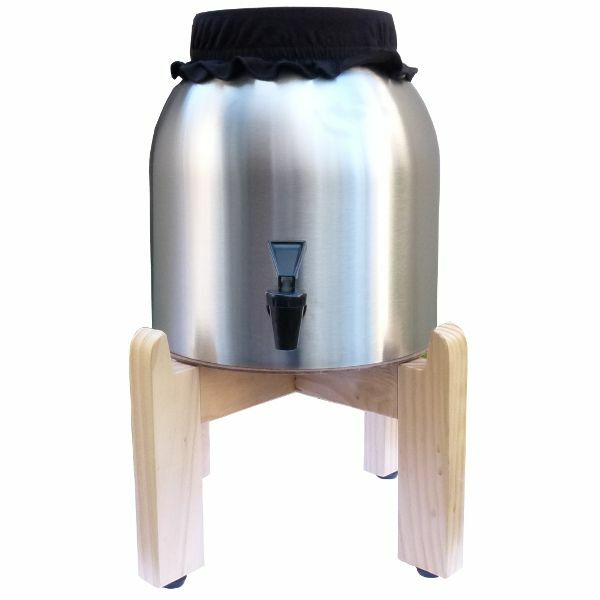 If you wish to start with Batch Brew Kombucha, or you already have the vessel you need for Continuous Brew, KKamp offers two kit options. Our Kickstarter Kombucha Kit comes with 2 SCOBYs packed in strong starter liquid, so it’s suitable for brewing up to 2 gallons of Kombucha right away, the minimum amount recommended for Continuous Brew. 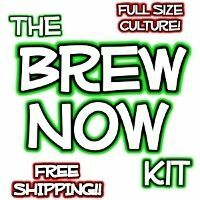 Or go with our Brew Now Kombucha Mushroom Kit which includes 1 SCOBY in strong starter liquid to make 1 gallon, but a second can be added (use the checkbox before adding to the cart) if a 2 gallon batch is the goal. Or you can use 2 SCOBYs each in their own 1 gallon batch, whatever you prefer. 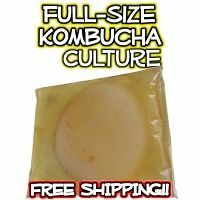 Choose a single or double pack of genuine 100% organic and full-sized KKamp SCOBYs, the Kombucha culture, packed in strong starter liquid and ready to brew 1 gallon per culture right away. Don’t skimp on SCOBYs or you may be stuck with low quality cultures (dehydrated, test tube size, pre-packaged, backordered, pint jar sized). 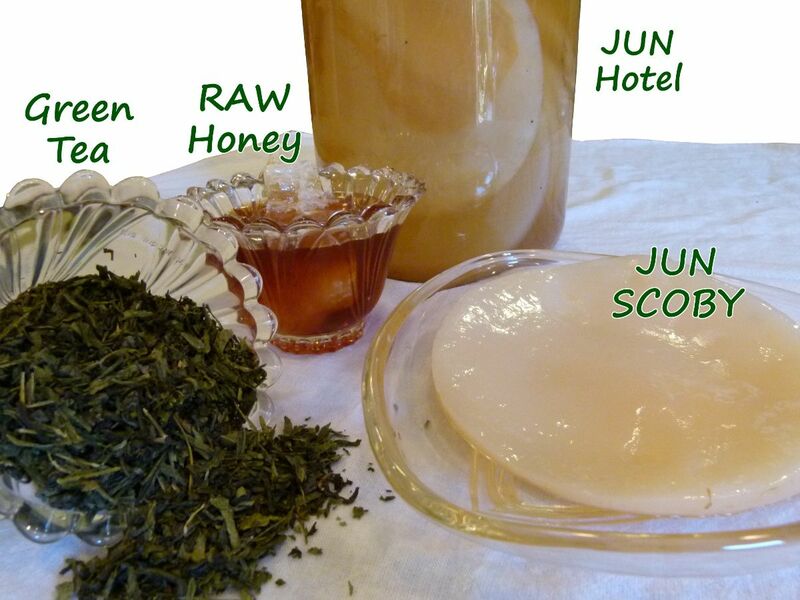 JUN cultures look similar to Kombucha cultures, but feed exclusively on raw honey and green tea, producing a lighter flavor. 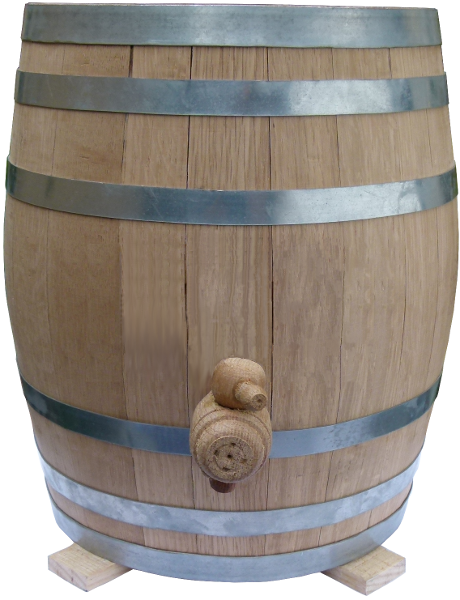 JUN is generally fermented for a shorter time of 5-7 days per gallon, and at a slightly lower temperature range of 70-80 °F. Click here to visit the JUN Culture and learn more. 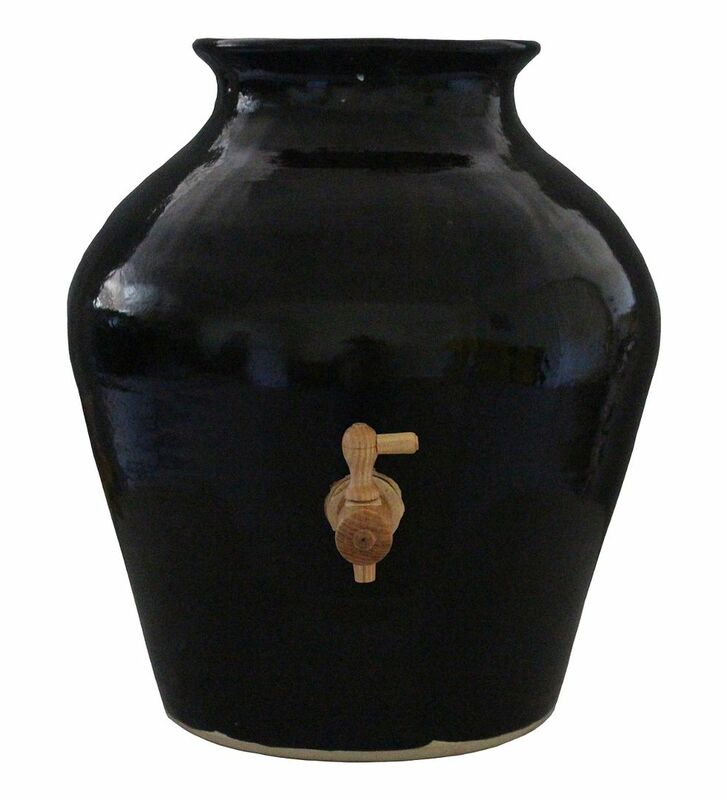 KKamp offers 100% organic Water Kefir Grains and Milk Kefir Grains for worldwide shipping. 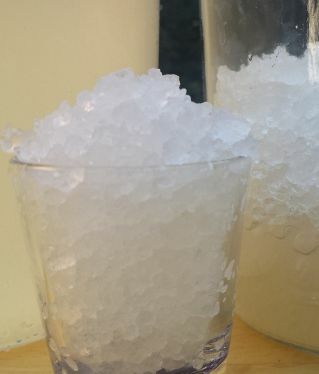 Water Kefir is a lighter, slightly sweet ferment, sort of like a homemade soda and ready in 1-3 days. Milk Kefir is like a drinkable yogurt made from regular milk, taking about 12-48 hours to mature. Both ferments can be made right on the kitchen counter and contain a variety of healthy bacteria. Every Kefir Grain order automatically receives an email copy of our lacto fermented sodas guide with purchase, which includes recipes for kefir cheese, flavored water kefir, beet kvass, and more! 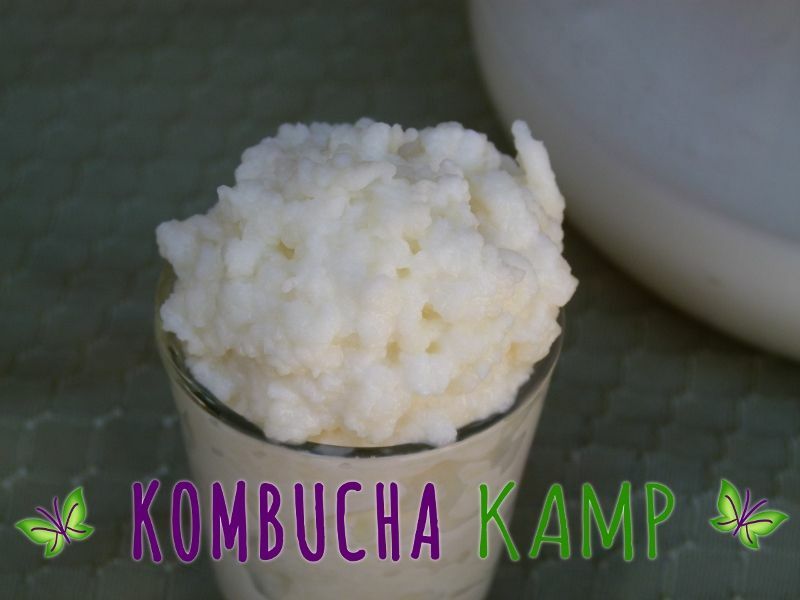 The KKamp website also features a detailed Water Kefir Recipe page and Milk Kefir Recipe page with tips that include a coconut water kefir recipe, coconut milk kefir recipe, and non-dairy kefir. 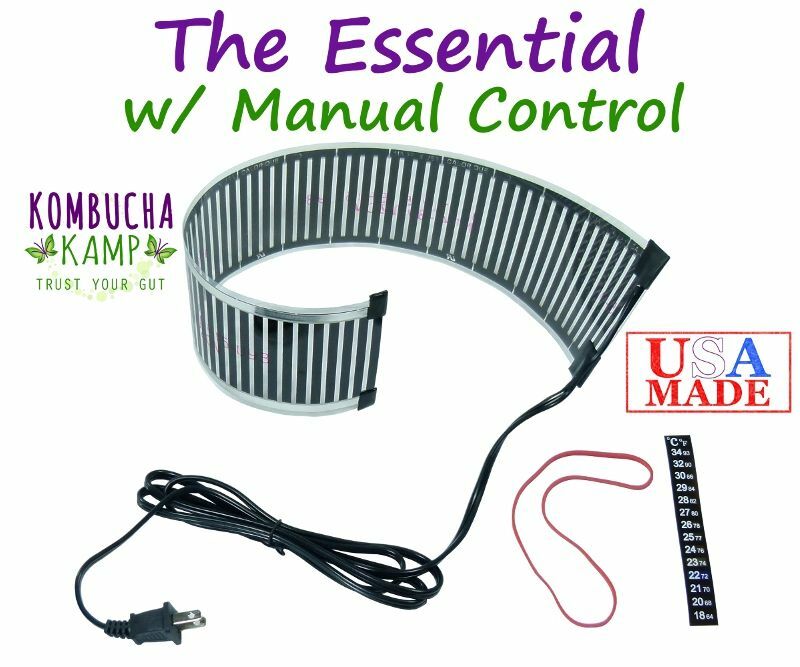 All KKamp Kombucha Heating Mats are efficient, stylish, and easy to use. Plus you can rotate them between different brews or even types of ferments. We sometimes even use them to boost the carbonation on our second ferment Kombucha. Read more about all 3 models at the Heating Mats page here or click on the heater of your choice below to learn more. The best teas, tisanes, and flavors make the best Kombucha, JUN or Kefir. Hannah’s Special Tea Blend is our top-selling, signature offering for a traditional Kombucha brew while Green Goddess and our genuine JUN Culture match perfectly. Explore all the teas and flavors individually or try our Tea Saver Mix-and-Match 4-pack, Flavor Saver 4-pack, or Root Beer 4-Pack to save. 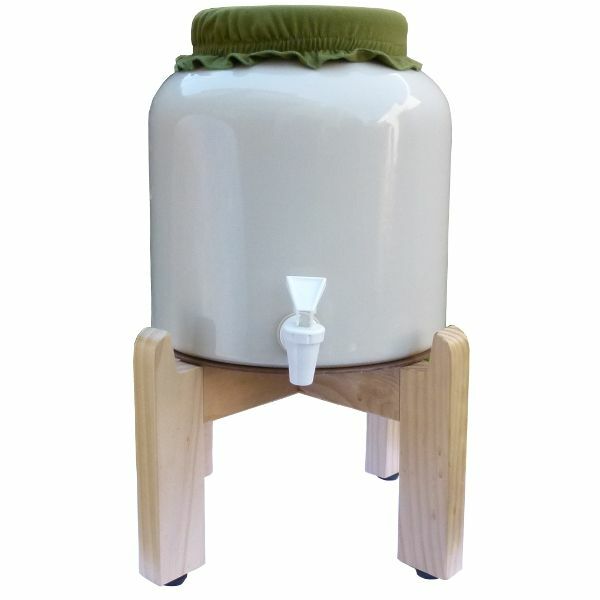 We’ve got an ever expanding variety of Kombucha supplies to support any fermentation habit, including Custom Fermentation Covers, Spigots, Testing Tools, and many other useful items. 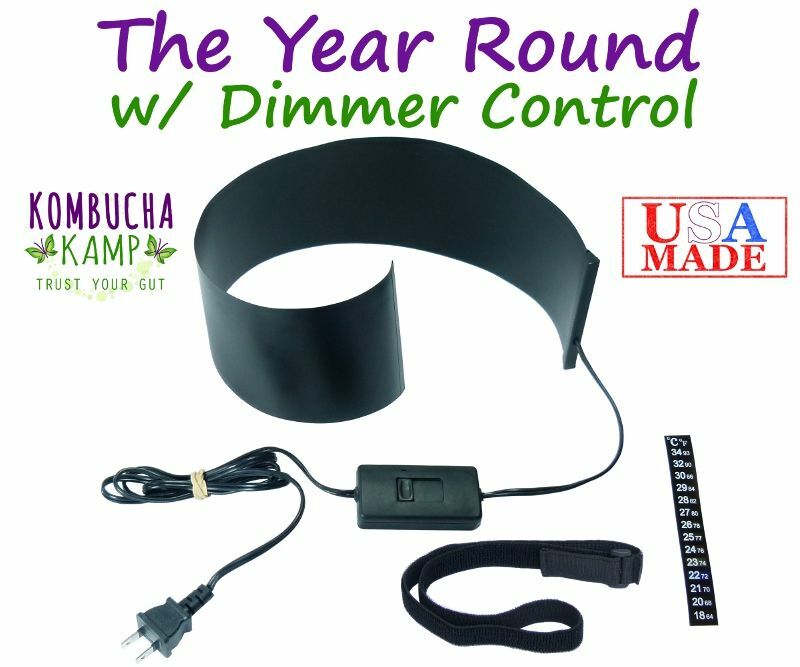 Why buy Kombucha supplies from KKamp? At our Kombucha store, you can buy 100% organic Kombucha supplies but also so much more for other fermentation projects at home. 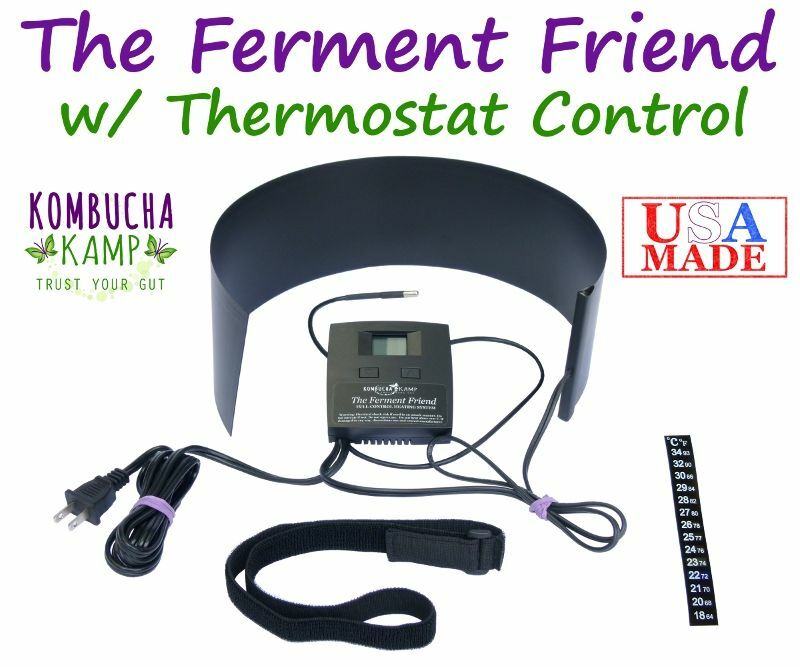 From Continuous Brew Kombucha starter kits to Kombucha brewing supplies to other fresh, organic cultures such as Milk Kefir, Water Kefir, and JUN, to The Big Book of Kombucha and other brewing support materials, our Kombucha shop is here to provide you with only the best quality items for beginners and veterans of the Kombucha and fermented food lifestyle. You can trust the experts at KKamp. Kombucha is popular for many reasons, but mostly because people like how it makes them feel, which is usually pretty good! Most everyone these days knows fermented foods can help with digestion and immunity, but the truth is it’s difficult to get anyone to eat or drink something that doesn’t taste good. Homemade Kombucha is inexpensive, easy, and safe to make. When you source supplies from our small family business, you also become a lifetime client of the leading experts in the Kombucha community. 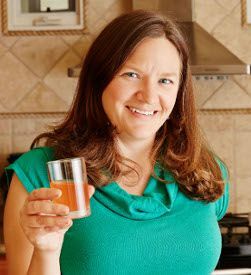 With over a decade of personal experience and expertise, authors of the book already known as “the Kombucha bible,” and founders/directors of the industry trade group, you’ll know with certainty that you’re buying Kombucha products from people with a passion for changing the world, one gut at a time. If you’re brand new to the Kombucha world, our Kombucha online store has everything you’ll need to get started with your first Kombucha brew. For veteran Kombucha makers ready to increase brewing capacity or graduate to Continuous Brew, we have all the supplies and tips and tricks to help even the most seasoned get the best from their brew. We’re also Commercial Brewing Consultants to dozens of large and small Kombucha companies, Founders & President/Director of the Board of the Kombucha trade association, and featured speakers at events nationwide. Browse our Kombucha store today to see our wide variety of Kombucha products. Make sure to stop in regularly to see what’s new! 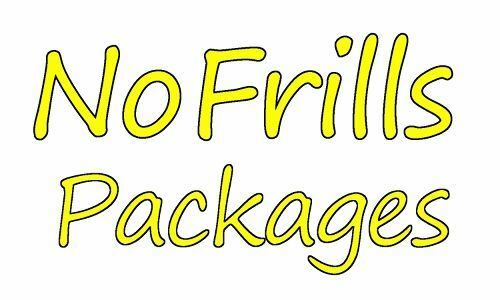 If you need help placing an order, call us at 424.245.5867. Cheers to You & Happy Brewing!